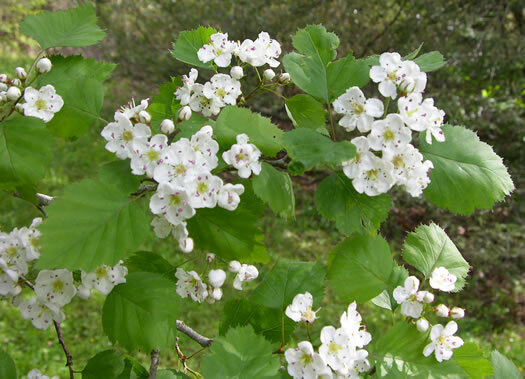 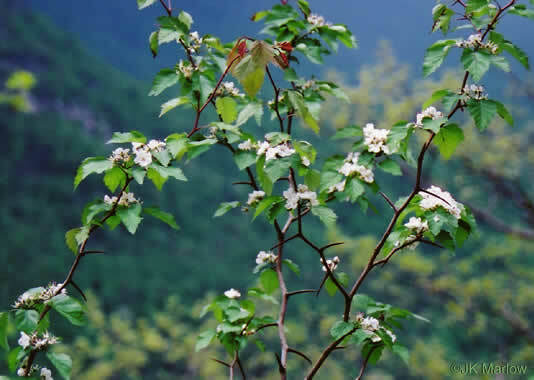 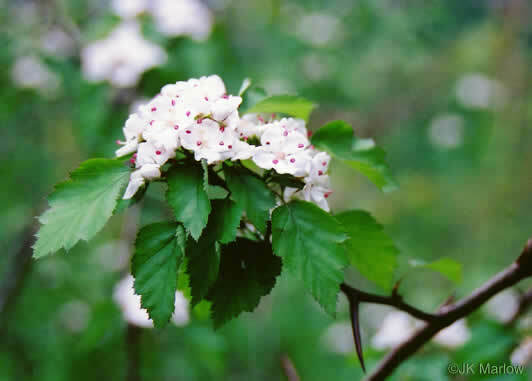 Flowers when leaves are about half-grown, each typically with 10 stamens, per Haws: A Guide to Hawthorns of the Southeastern US. 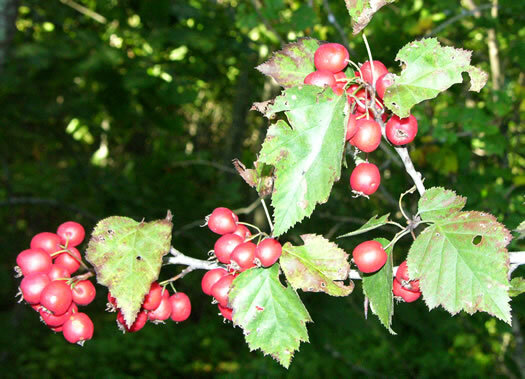 Fruit usually obovoid, sometimes subglobose or oblong, often pruinose, per Haws: A Guide to Hawthorns of the Southeastern US. 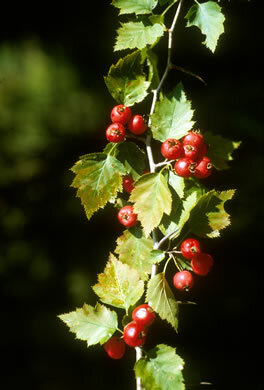 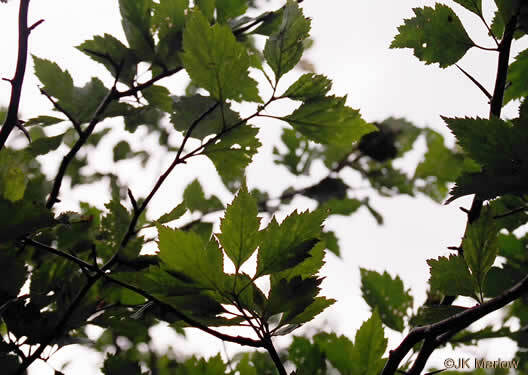 Leaf blades ovate to deltate; lobes acute to acuminate, per Haws: A Guide to Hawthorns of the Southeastern US.